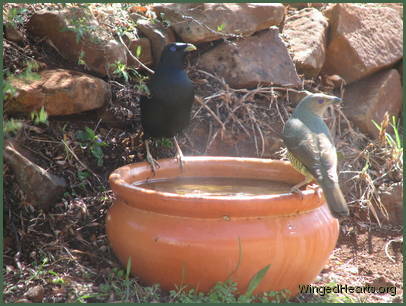 The male Satin bowerbird has a lovely blue-black sheen hence the name. 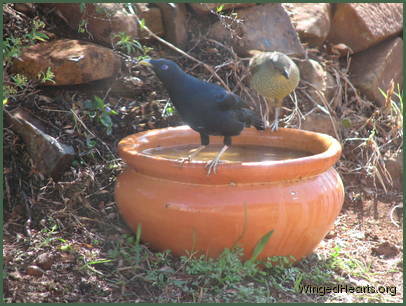 The birds love the colour blue and the male bird builds a bower and decorates it with blue objects to woo the female. 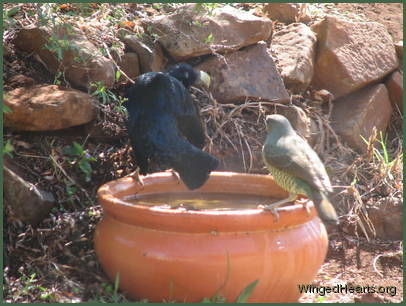 We first saw these beautiful birds in the Bunya Mountains. The bowerbirds are shy and tend to be seen more often in late winter or early spring. 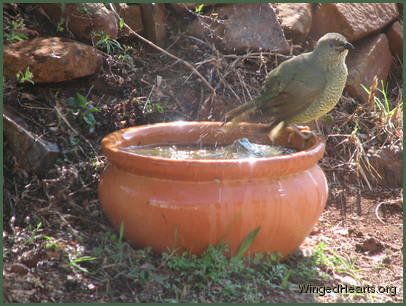 One of the female bowerbirds began to answer to the name 'Jackie' and would come when called. She stopped coming when the days got hotter and the drought worsened. We think they may have migrated to cooler temperatures or followed the fruit circuit. We were lucky to spot a female come out of the bush for a bath. She was soon joined by another female and a male. 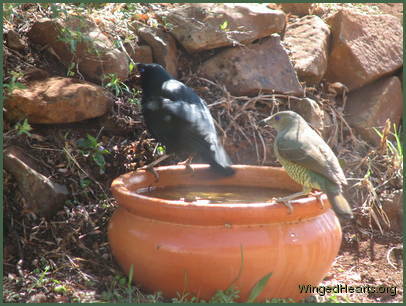 The pair only had a drink and the male helped himself to the early blossoms on the double- may bush. Take a look at the slideshow below for a peek at the birds. 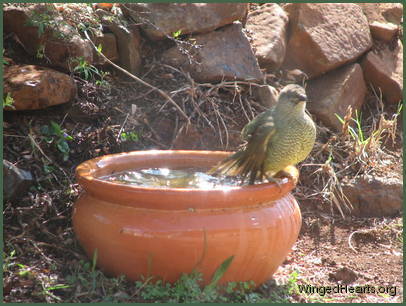 Previous Slide 1/5 NextBowerbirds - FemaleA cool swim on a dry day Bowerbirds - FemaleTime to jump out and dry BowerbirdsGreat my friends have come BowerbirdsA blossom at last - I thought spring would never come BowerbirdsIt can't be time to leave already? 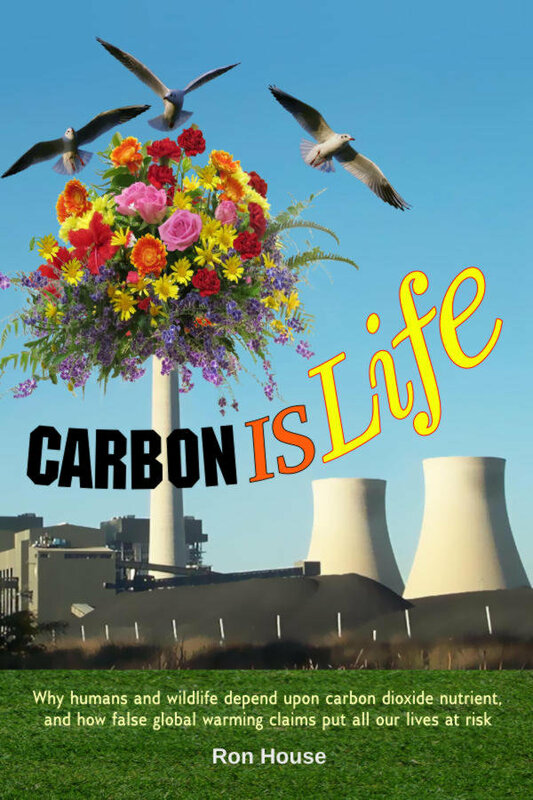 Stay tuned by subscribing to the Wild Bird Talking Newlsetter and the WingedHearts Blog.